Referral Contest [v5.3.x] - $35.00 : BuxSense, Paid to click services - Download products instant! Do you want that your site grows faster? Make a referral contest and give to your members cash prizes, you will see that you will have alot of members in a short time! 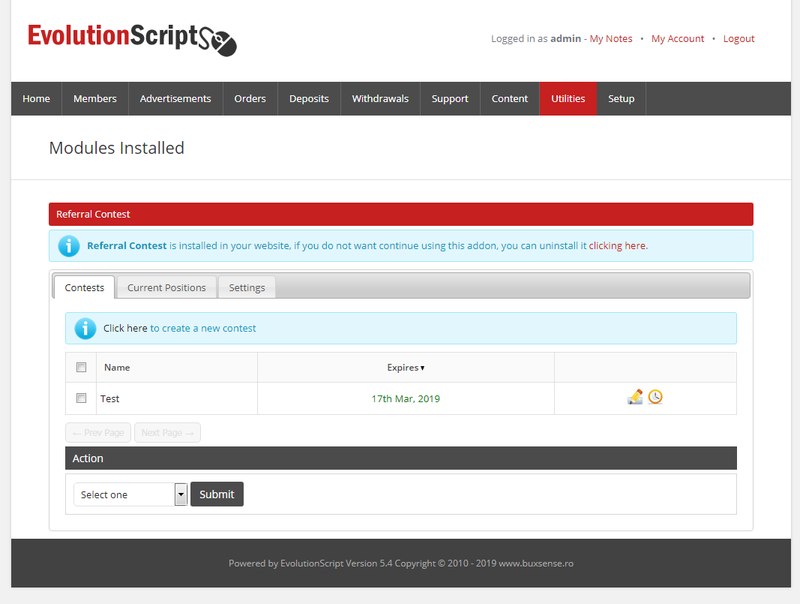 Works in Evolution Script 5.3 to 5.5 nulled or with licensed. This addon does not work in the evolution script version smaller than 5.3!